You must be a member of the Austin Explorers Group to attend this activity. Would you like to join this group? 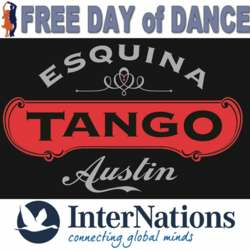 Join us for the 11th Austin Annual Free Day of Dance, a city wide event! Over Protected content dance classes offered throughout the Austin area in Country, Swing, Salsa, Ballroom, Tango and more! Did we tell you ALL CLASSES ARE FREE? ?